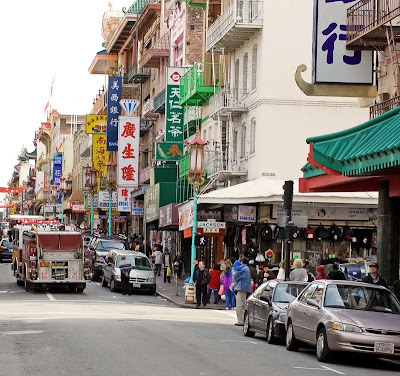 On Saturday, Kim and I went to China Town in San Francisco, supposed the largest China town in North America. It was fun to walk around, and there are some great places to eat there too. Later in the afternoon there was a guy laying on the ground, he looked hurt; hence the fire trucks and ambulances. Technical Specs: Canon 350D, 35 f/2, f/8, 1/100s, ISO 100.